Note: A version of this piece was published last year on Law.com, but the U.S. News rankings remain as toxic of an influence as ever. This years version was published on Above the Law. Next week, the law school world will overreact to slightly-shuffled U.S. News rankings. Proud alumni and worried students will voice concerns. Provosts will threaten jobs. Prospective students will confuse the annual shuffle with genuine reputational change. » Read the full text for The U.S. News Rankings Are Horrible. Stop Paying Attention. This piece was originally published on Bloomberg. Earlier this month, at the American Association of Law Schools’ annual meeting in New York, the AALS’s Section for the Law School Dean hosted a panel on law school rankings. During a Q&A, Nebraska Law School Dean Susan Poser posed a series of questions to Bob Morse, chief architect of the U.S. News law school rankings. I don’t know anything about schools except the one I went to and the one I’m at now. How do you justify asking us to rank the prestige of other schools, and how do you justify giving this component such a large weight? Blake Edwards, writing for Big Law Business, has more details on the panel here. I want spark a discussion about some ways to improve the reputation metric. The popular legal news website Above the Law just announced its 2014 Top 50 Law School Rankings. ATL’s methodology focuses exclusively on outcomes: only jobs, total cost, and alumni satisfaction matter. I generally disfavor rankings. Ranking systems appeal to a desire for clear answers even when clear answers don’t exist. Through a simple list format, rankings project the appearance of authority and value even when they provide neither. Inherent issues aside, ATL’s rankings at least focus on elements that should and do matter to prospective students. As a result, the ATL rankings incentivize schools to act in ways that measurably help students. That’s a welcome change. The ATL rankings factor in total educational cost, which combines living expenses, tuition, inflation, and the interest accumulated during law school. Unless a law school moves across the country, student living expenses are relatively inflexible. To compete on the education cost metric schools must either lower tuition or convince ATL to use net price instead of sticker price. In using sticker price, ATL penalizes schools that use a high tuition, high discount model. That’s basically every school (but maybe changing). Schools that shift to a more transparent pricing model will benefit in next year’s rankings without taking in less tuition revenue. Although class sizes are not directly measured by the ATL rankings, each employment metric either controls for graduating class size (SCOTUS clerkships; Article III judges) or relies on an employment percentage for which graduating class size is the denominator. Graduating class size is a function of incoming class size, net transfers, and students dropping out or taking longer to finish school than anticipated. Smaller incoming classes demonstrate a modicum of social and professional responsibility in a visible manner. This buys trust from incoming students. But the urge to take more transfers to generate more revenue must be appealing these days as schools try to make up for lost 1L revenue. After all, transfers pay more, do not impact LSAT or GPA medians, have low marginal cost, and integrate rather silently. Large transfer classes also seem appealing if you believe that enrollment cuts have been too deep—an increasingly common, yet disturbing belief. Due to ATL’s methodology, schools cannot hide from enrollment levels that adversely affect employment outcomes. Neither can schools make up for over-enrollment by funding jobs for graduates. As such, resisting the temptation to grow enrollment will benefit schools on rankings that unapologetically penalize schools for graduating too many students into a crowded entry-level market. Schools game rankings. That’s just a basic fact about modern higher education. At least with ATL’s rankings, gaming the rankings produces measurable, positive results for students and the profession. It sure beats an incentive to burn money on blackacre to secure a higher ranking. QS, a British company that supports international study, has published a ranking of law schools worldwide. Like all other rankings, this one undoubtedly has flaws. The method, however, seems at least as plausible as the one used by U.S. News for our domestic rankings. The QS ranking for subjects like law focuses on academic reputation surveys, employer surveys, and measures of scholarly productivity and impact. Let’s see what the results of the survey tell us about the place of U.S. schools in the wide world of law. First some good news for our home team: Harvard Law School tops the QS list, and four other U.S. schools (Yale, NYU, Columbia, and Stanford) appear among the top ten. These United States similarly dominate the top fifty, with fourteen American schools in that group. The United Kingdom is our closest competitor, with nine schools listed among the top fifty. Next comes plucky Australia, with six law schools in the top fifty. If this were the Olympics, we would win; we have the most medals and that’s that. American students and professors, however, may be surprised to find the glory spread among schools from so many different nations. In addition to the U.K. and Australian schools, the top fifty includes law schools from France, New Zealand, Hong Kong, Canada, Singapore, Belgium, the Netherlands, Germany, Japan, China, Chile, and Italy. The top U.S. schools have a strong global reputation, but so do schools from many other nations. Some of our dominance, furthermore, stems from our size. The United States has a population of 313.9 million residents. The United Kingdom is just one-fifth our size, with a population of 62.6 million. Australia is even smaller, with a population of just 22.6 million. A nation our size has many more educational institutions–and more opportunities to make a top-fifty list–than smaller countries do. To adjust in a very rough way for size, we can compare the QS showing for California, with a population of 38 million residents, to both the United Kingdom and Australia. California’s population is about three-fifths as large as the population of the United Kingdom. Puny Australia, in turn, is about three-fifths the size of California. California fares quite nicely on QS’s ranking of law schools: It has one school (Stanford) in the top ten and two others (Berkeley and UCLA) among the top fifty law schools worldwide. But the United Kingdom triples that showing, with three schools in the top ten and six others among the top fifty. The U.K. achieves that record with a population that is less than double California’s size. Tiny Australia, meanwhile, trounces California: It has two schools in the top ten and four others among the top fifty. That’s double California’s performance at just over half its size. What does this mean for U.S. law schools and their graduates? The most lucrative forms of practice, serving corporate and financial clients, are now global practices. U.S. law matters, but so does the law of the European Union, China, and dozens of other nations. Large corporations obtain counsel from lawyers around the world, and many of those lawyers received their training outside of the United States. To get a sense of this, scan the lawyers associated with Baker & McKenzie. For 2012, the latest year available, Baker grossed more money than any other law firm in the world. Baker is headquartered in the United States and it hires plenty of U.S. law school graduates. According to a search box on the firm’s site, it employed forty-six Harvard Law School graduates to help accomplish that end. The firm, however, also employed twenty-three lawyers educated at the University of Melbourne. Nor did those Melbourne lawyers stick to Baker’s Australian offices; they also practice in Chicago, Washington, DC, London, Hong Kong, Shanghai, Singapore, and Kuala Lumpur. Examine the leading law firms headquartered outside of the United States, and you’ll find even more lawyers from all of those non-U.S. schools on the QS list. Clifford Chance, the U.K. mega-firm, has thirty lawyers in its Hong Kong office. Only two of those thirty have a law degree from a U.S. school, and one of those is an LLM earned to complement a Hong Kong degree. United Kingdom degrees predominate at Clifford Chance, but degrees from Hong Kong, Switzerland, Singapore, and Australia also appear among the Clifford Chance lawyers in Hong Kong. Graduates of U.S. schools, in other words, are competing against a wide world of lawyers. That competition is one of the forces reducing the number of BigLaw positions for graduates of our schools. Corporate clients hire law firms located in many parts of the world. Those firms, in turn, hire lawyers from many countries–and often show little interest in U.S.-educated lawyers. As BigLaw positions contract, displaced U.S. lawyers move into positions more focused on the domestic market, placing pressure on those positions as well. The United States enjoyed such global dominance during the last half of the twentieth century, that I fear many legal educators, law students, and prospective students don’t grasp the impact of global competition on jobs in our profession. 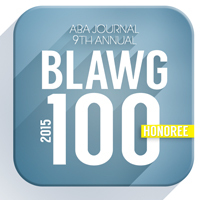 BigLaw is no longer our playground; it’s a busy marketplace that we share with the rest of the world.